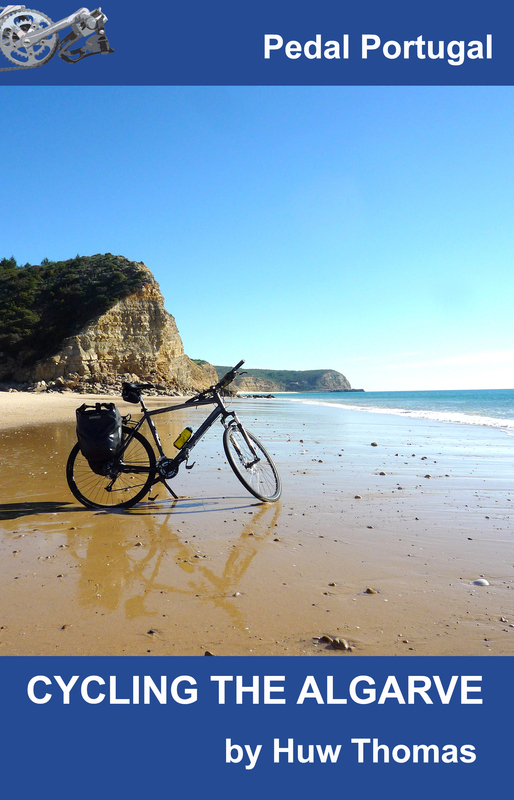 Fancy riding your bike to some of the most gorgeous and unspoilt beaches in Portugal? Want to escape the crowds on tiny back roads that aren’t marked on any regular tourist map? Like the idea of tackling some some rugged hills and exploring orchards full of oranges and olives? Well, help is at hand! My second guidebook – Cycling The Algarve – is finally finished and is now out in both print and ebook editions. This book has been quite a major endeavour. It’s more than twice as long as the first one I did (The Alentejo Circuit) and hopefully is even more thorough. 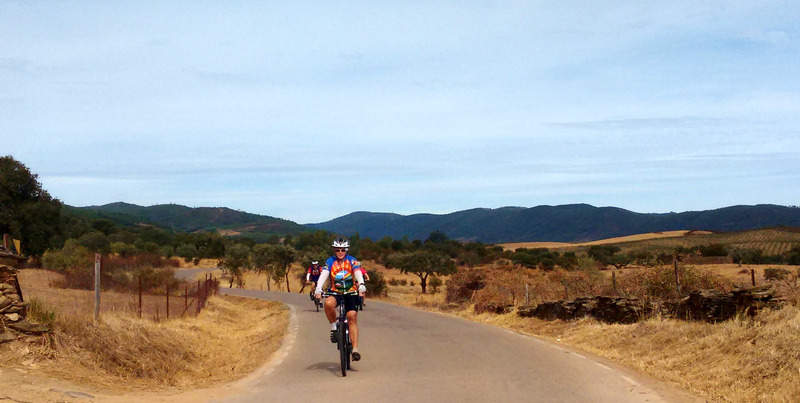 Cycling The Algarve contains details of almost 1,000km of riding options in a comprehensive cyclists’ guide to the western Algarve. The book is divided into four sections. 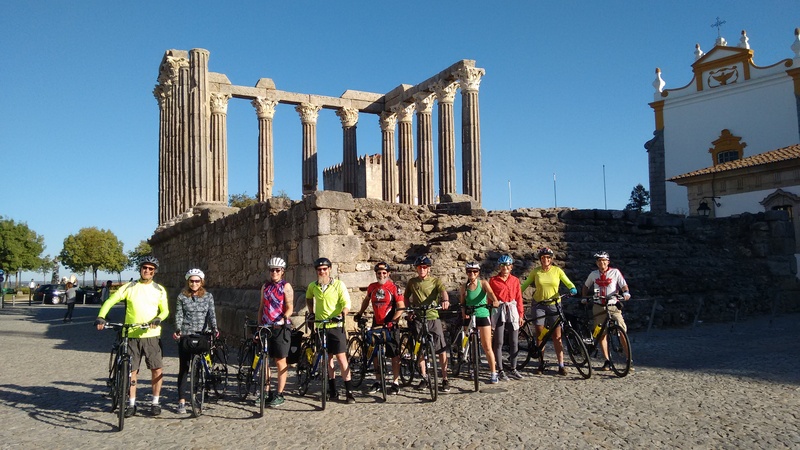 The first is a six-day touring route (see map on the right) that starts and ends in Silves, the ancient capital of the Al-gharb. 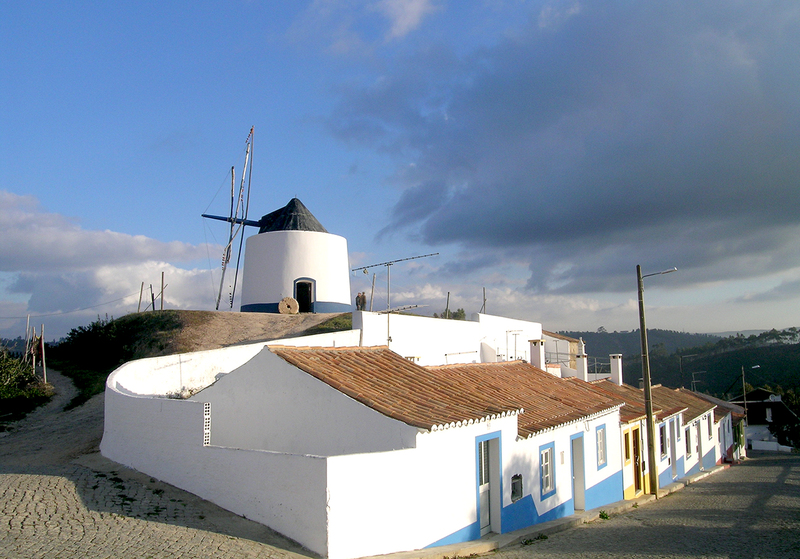 The route goes via the hill town of Monchique, north to the pretty seaside village of Zambujeira do Mar (just inside the Alentejo and on the Alentejo Circuit route) and then south, visiting various stunning beaches on the Algarve’s wild west coast. 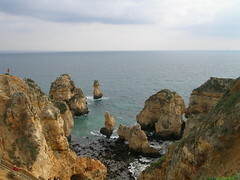 The touring route continues all the way to Cabo São Vicente, the most south-westerly point in Europe, before zigzagging back east via various small coves and villages to the attractive resort town of Lagos. 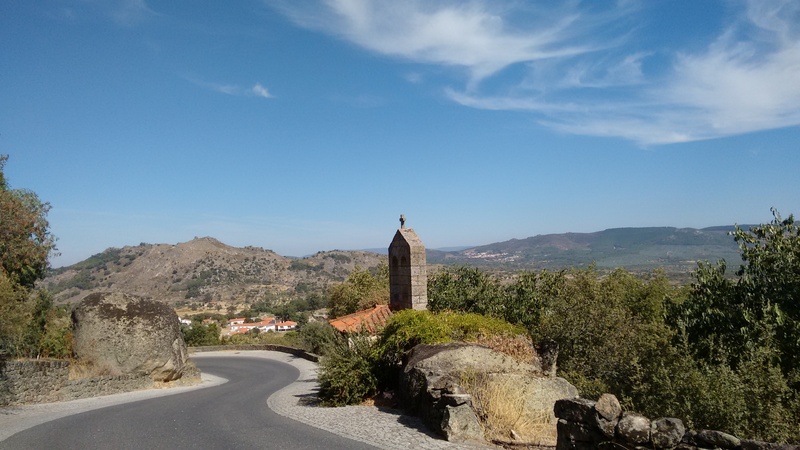 The last day offers the choice of a major climb up into the hills before coming back down to Silves – or a much easier route through some tiny country lanes. 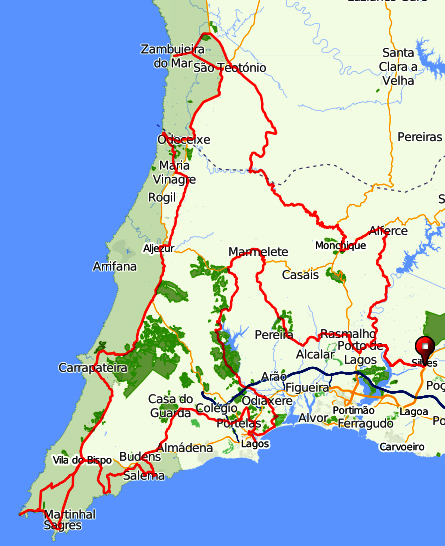 The next two sections of the book contain options to extend the tour via inland and coastal routes between Silves and Loulé, and a loop going north to Almodôvar – giving another opportunity to link up with the Alentejo Circuit. 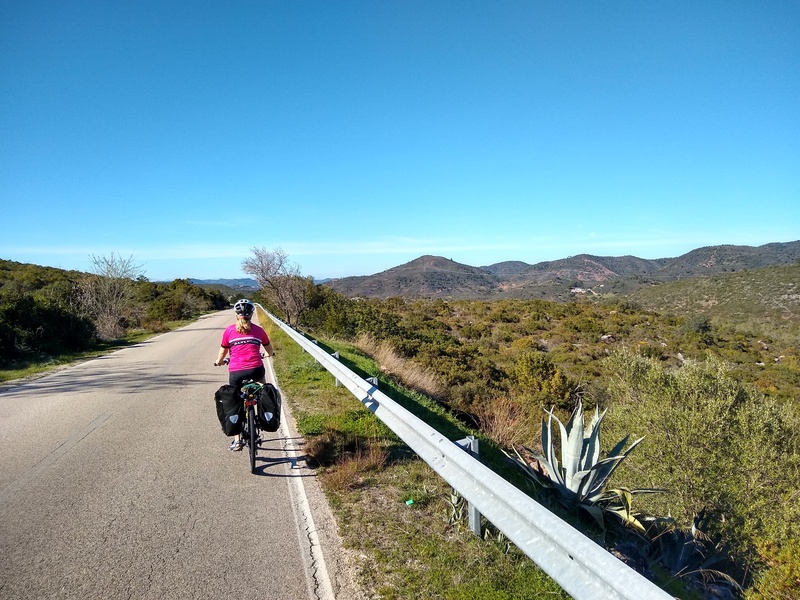 The final section contains 10 day rides of varying distance and levels of difficulty, starting from towns in the western Algarve – a number of them connected by the regional rail service from Faro, which carries bikes for free. Every ride in the book is broken down into numbered sections, with distances given for each section and detailed descriptions of every junction along the way, plus notes on places to visit, accommodation, bike shops, and where to find cafes and supermarkets. (Basically everything I could think of and find out that might be useful for visiting cyclists. Finding printed maps of Portugal is always a nightmare. With this book, there’s a simple outline map of each day’s riding, plus 27 more detailed maps of towns and villages along the way. These are taken from Open Street Map and are as clear and accurate as I can get them. If these aren’t good enough, though, there are also links to online maps produced via the ridewithgps.com website, which will show you a detailed profile for every revolution of your wheels – and can be downloaded as .gpx files etc for those of you who use such newfangled technology. Copies of the book cost $9.99 (US) or £6.99 for the 204-page paperback version or $7.77/£4.99 for the Kindle version – both available from Amazon. Hope you’re inspired! ← You Really Want To Go Now? Huw are your books only available on Kindle? Are any PDF versions able to be purchased? Hi Rossco. Sorry no PDF version at the moment (no time!). However, you can download a Kindle reader onto various tablets, PC etc if that helps. I’ll definitely check it out soon. Looks good, maybe next time I’m out?